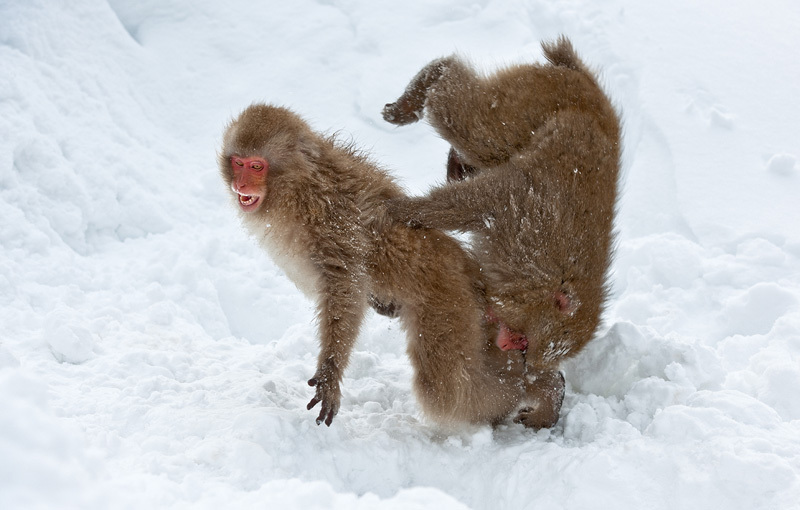 It's great fun to photograph young animals, because they tend to be much more active than adults, and especially with Japanese macaques this is the case. A couple of times a day they have their 'crazy 5 minutes' where they all start chasing each other and jumping on on another. Fun as it may be to watch this, photographing the action can be a very tiring experience, trying to keep up with the youngsters.